Competing on big days in big races is what Ian Fogg imagined when he established Ditcheat Thoroughbreds and Coillte Lass could take a step closer to a major target by landing this contest. A successful owner with the likes of Scottish Grand National winner Vicente, Fogg has gained the taste for top-level racing and is hoping to be able to share that with his fellow syndicate members over the months ahead. 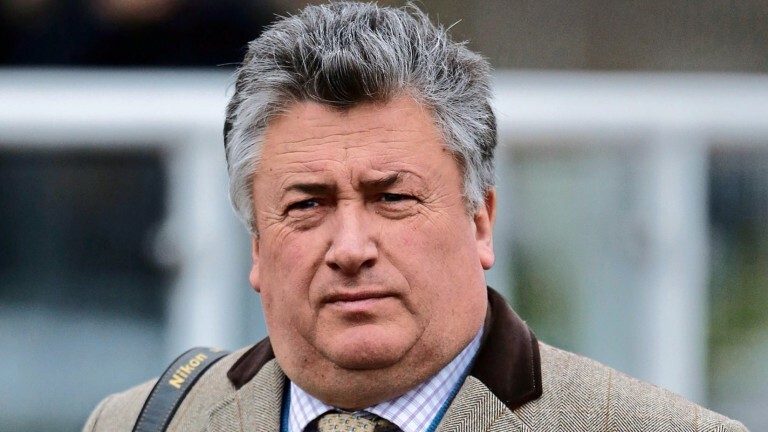 He said: “I wanted to start a syndicate that had horses only with Paul Nicholls and had only 'Saturday horses', so it was just a question of braving it out as I bought the horses to start. Coillte Lass, 25-1 for the Trull House Stud Mares’ Novices’ Hurdle at the Cheltenham Festival, has won both her races for the syndicate, the latest of which was a match. Fogg said: “She’s done really well. Her last race was unusual as there were only two runners, but she showed she has speed and jumps well. Five rivals take on Coillte Lass, including Theatre Territory, who made a fluent start over hurdles when winning at Uttoxeter. Jockey Sam Waley-Cohen said: “It looks extremely competitive but everyone wants to know where they stand when it comes to looking at some of the better mares’ races. The prospect of good ground at Taunton has tempted Alan King to run Dusky Legend, who concedes 3lb to her rivals.